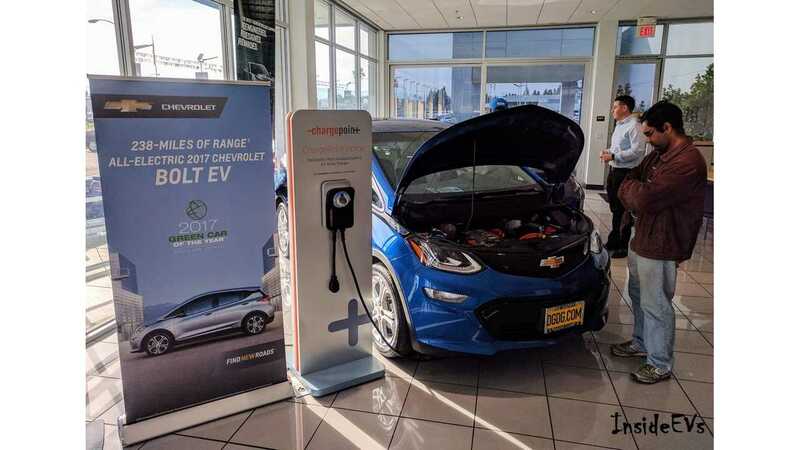 2016 US EV Market Report: Six New Models, Four “Unplugged"
2015 and 2016 were “pause and reload” years for the EV industry. During last year some second generation plug-ins have started to enter the market, while at the same time some original first generation offerings have stuck around (but experienced waning sales). The US market now stands at 26 plug-in models available as of January 30th 2017. In 2016 we saw a net gain of two new models for the industry segment. The Germans lead with four new entries, while only one all-new American and one Japanese plug-in launched; the BMW 330e & 740e, Mercedes GLE 550 & C350e, Chevrolet Bolt EV, and the Toyota Prius Prime respectively. Of the four models phased out (production ended several quarters past), we had two Japanese models, and two American made EVs: the Honda Accord PHV, Toyota Prius Plug-In, Chevrolet Spark EV, and the Cadillac ELR respectively. And while the number of models overall may have been somewhat of a ”wash,” the relative sales increases looked more like a tidal wave, with the EV segment growing by 37% year over year. When we compare 2016 to 2015, the news is much more industry positive, as total vehicle sales rose 42,940 units (to 159,141 units overall). The 2016 growth rate of 37% more closely follows the industry growth of past years. Domestic automakers gained 9.06% US market share to a dominant 63.71% of total sales this year, while Asian and European makes collectively surrendered over 9% share this year, -losing 6.25% and -2.81% respectively. 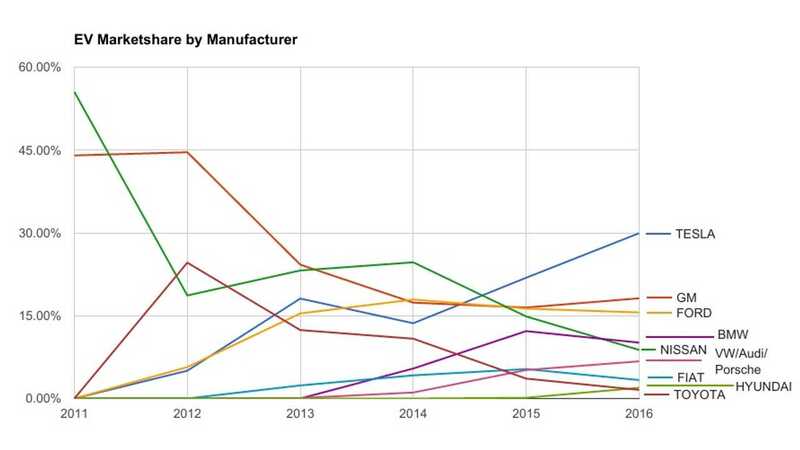 When one looks historically at Nissan, Mitsubishi and Toyota’s sales, you have to go back to 2011 to find a lower yearly sales total than 2016's 21,303 collective sales. In 2012, the trio sold over 23,000 units, in 2013 they sold over 35,000 units and in 2014 these three makes sold 43,660 vehicles. The sales decline among Asian offerings would have looked even worse if it weren’t for the climbing sales of Hyundai and Kia, with a combined 3% overall market share, and nearly 5,000 units sold in 2016. The "next" LEAF is said by Nissan to be debuting "shortly" - which can only boost sales whenever it arrives! 2017 is looking to be an even bigger sales year for the EV segment of the auto industry, as sales of many of the top makes look to increase this year. European models are likely to have a quiet year this year, as there are very few models scheduled to rock the market. As of 2017 though, they lead the industry with 16 different models on the market, but only two are pure/all-electric EVs. 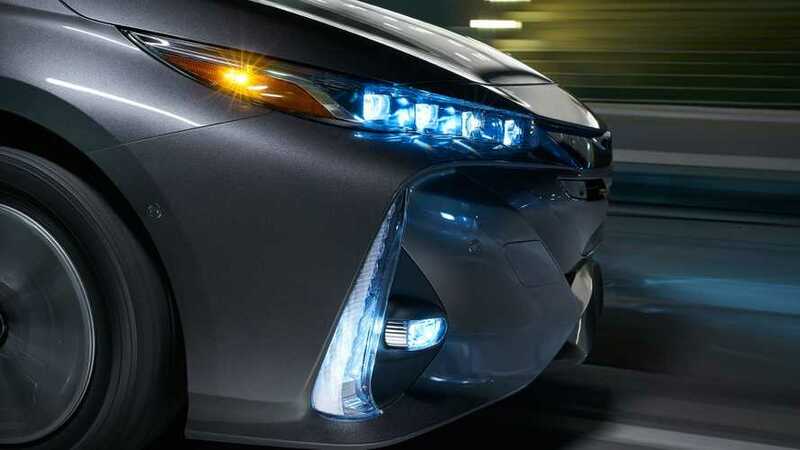 Toyota is looking to have a great year ahead judging by the encouraging launch numbers of the Prius Prime so far. The $4000 tax credit and $28,000 starting price are very competitive and more than offsets the price premium for the plug in hardware. 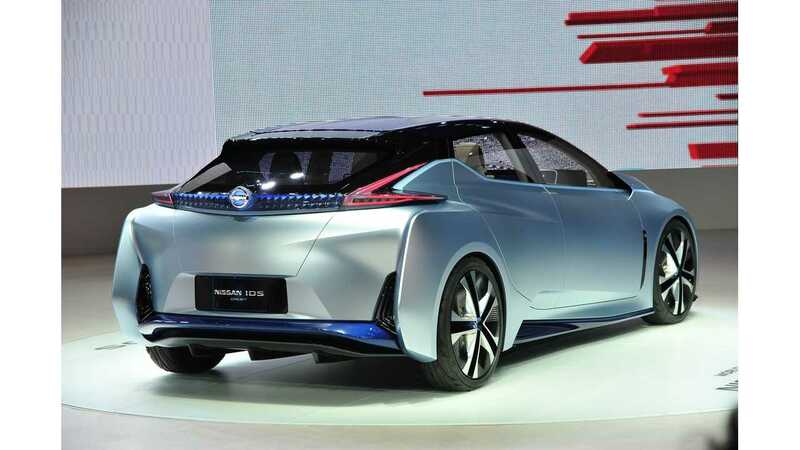 And Nissan will most likely join the party, however there is much speculation as to what, how much and when we will see Nissan’s “Leading, Environmentally friendly, Affordable, Family sedan” (the LEAF). At the same time, Hyundai adds the competent IONIQ electric later this month, as well as the IONIQ Plug-In Hybrid later this Summer. Could sales hit 200,000 this year, or will that happen next year? That remains to be seen, and is partially dependent on significant deliveries of Tesaa’s Model 3. Last week we heard that Tesla is starting pilot production of the 3 on February 20th, so we could see full production ramping up before the end of summer, and strong fall and winter sales thereafter. If so, then we are sure to see growth in 2017 exceed 2016. Here’s to hoping!